Five countries, the US, UK, France, China and Russia are considered to be "nuclear weapons states" (NWS), "an internationally recognized status conferred by the Nuclear Non-Proliferation Treaty (NPT)". Three other "Non NPT countries" (i.e. non-signatory states of the NPT) include India, Pakistan and North Korea, have recognized possessing nuclear weapons. Israel is identified as an "undeclared nuclear state". It produces and deploys nuclear warheads directed against military and civilian sites in the Middle East including Tehran. There has been much hype, supported by scanty evidence, that Iran might at some future date become a nuclear weapons state. And, therefore, a pre-emptive defensive nuclear attack on Iran to annihilate its non-existent nuclear weapons program should be seriously contemplated "to make the World a safer place". 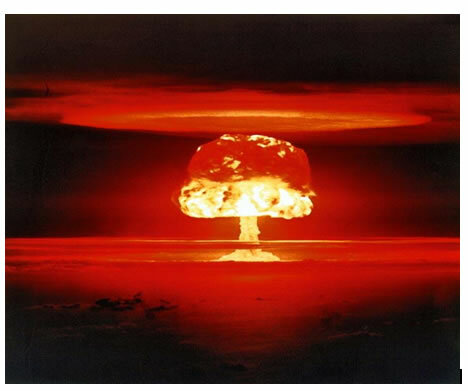 The mainstream media abounds with makeshift opinion on the Iran nuclear threat. But what about the five European "undeclared nuclear states" including Belgium, Germany, Turkey, the Netherlands and Italy. Belgium, Germany, The Netherlands, Italy and Turkey: "Undeclared Nuclear Weapons States"
While Iran's nuclear weapons capabilities are unconfirmed, the nuclear weapons capabilities of these five countries including delivery procedures are formally acknowledged. By the recognised definition, these five countries are "undeclared nuclear weapons states". While these "non-nuclear states" casually accuse Tehran of developing nuclear weapons, without documentary evidence, they themselves have capabilities of delivering nuclear warheads, which are targeted at Iran. To say that this is a clear case of "double standards" by the IAEA and the "international community" is a understatement. 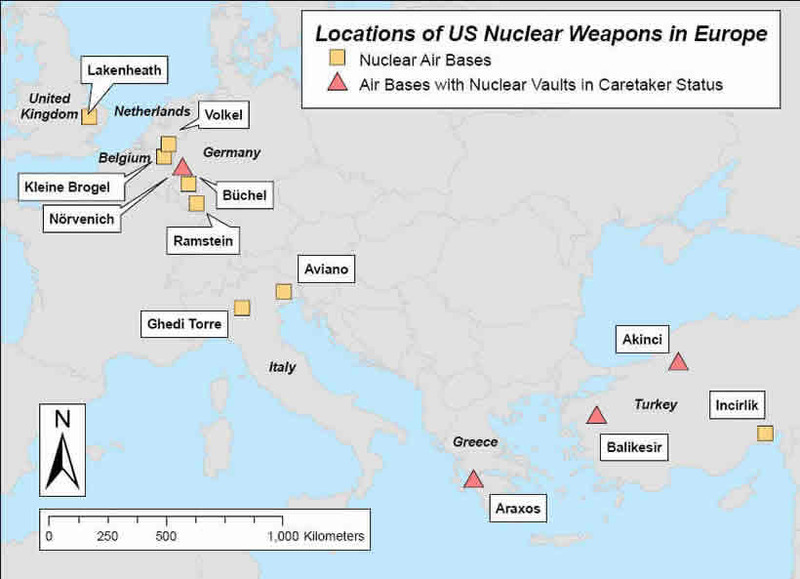 Among the five "non-nuclear states", "Germany remains the most heavily nuclearized country with three nuclear bases (two of which are fully operational) and may store as many as 150 [B61 bunker buster ] bombs" (Ibid). In accordance with "NATO strike plans" (mentioned above) these tactical nuclear weapons are also targeted at the Middle East. While Germany is not categorized officially as a nuclear power, it produces nuclear warheads for the French Navy. It stockpiles nuclear warheads (made in America) and it has the capabilities of delivering nuclear weapons. Moreover, The European Aeronautic Defense and Space Company - EADS , a Franco-German-Spanish joint venture, controlled by Deutsche Aerospace and the powerful Daimler Group is Europe's second largest military producer, supplying .France's M51 nuclear missile.